The 2016 recipient of the ACUA George Fischer International Travel Grant is Madeline Fowler from Australia. Dr. Fowler holds a Bachelor of Archaeology (Honors) from Flinders University in South Australia. She completed her doctoral research in the Department of Archaeology at Flinders University just prior to the SHA Conference in Washington, D.C., allowing her to present her research results to colleagues in an international forum. 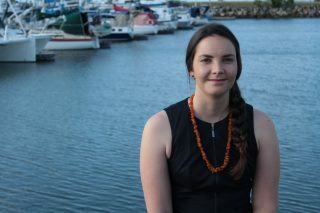 Madeline’s paper, titled Addressing Neglected Narratives Through the Maritime Cultural Landscape of Point Pearce Aboriginal Mission/Burgiyana, South Australia, explores the maritime activities at Point Pearce Aboriginal Mission/Burgiyana in South Australia—the traditional land of the Narungga people. Point Pearce/Burgiyana was established in 1868 and has been self-managed by the community since 1966, forming the historical time period for this study; however the research also drew on pre-contact knowledge. This case study was used to assess whether the maritime cultural landscape framework, a Western concept developed in the maritime archaeology sub-discipline, is applicable to Indigenous missions. The results of research at Point Pearce/Burgiyana found that care must be taken when applying maritime archaeological theories and associated attitudes to Indigenous archaeology (‘with, for and by’ Indigenous peoples). However, the application of a Western framework did contribute towards the decolonization of maritime archaeology by accommodating the beliefs, knowledge and lived experiences of Indigenous peoples.